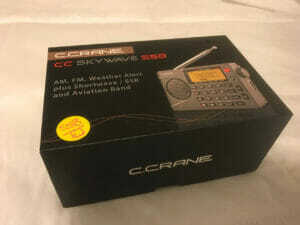 Do you want to listen to your Shortwave receiver at work? Do you camp? Do you travel and can’t carry a lot of gear with you? If you did travel you can’t carry the gear with you to get the performance you get at home. Here’s a way to access your short wave antenna via an RTL-SDR device. You can’t really access your shortwave RADIO but you can get at your antenna. You need an RTL-SDR device. $30 gets you basically every radio frequency that you can imagine and there is no shortage of geeks out there to write software to listen to or decode or make use of all those radio signals. One really cool thing you can do is to set up a server which you can connect to from anywhere. This entry was posted in SDR on May 28, 2018 by John Hagensieker. Okay, you’re probably not reading this unless you are a Ham or an ShortWave Listener (SWL). I probably seem like a rank amateur compared to many guys you’ve seen who have possibly dozens of more radios than I have. This entry was posted in Ham Radio, SDR, Short Wave on May 19, 2018 by John Hagensieker. I have the shortwave radio bug. It seems that it isn’t enough to own a shortwave radio and enjoy Short Wave Listening (SWL). It seems one must own MANY radios to enjoy SWL. One of my acquisitions was the Kaito KA1103. 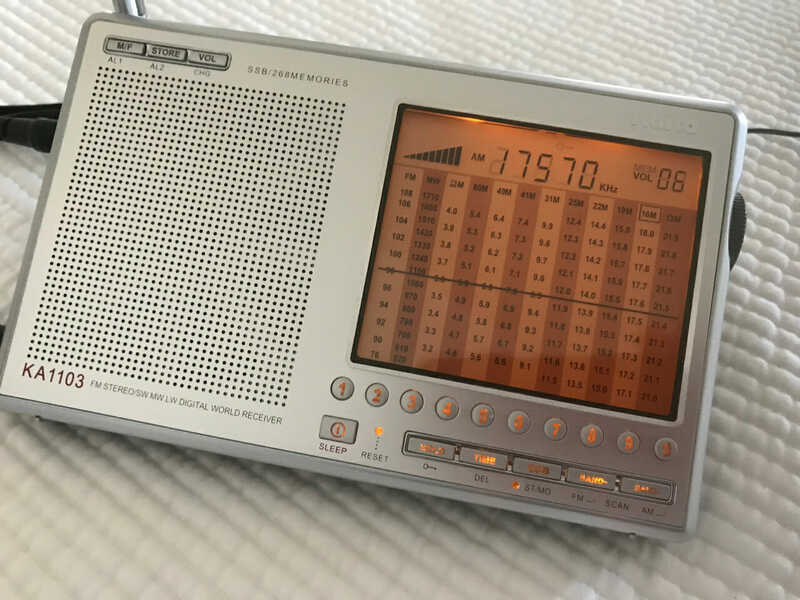 I purchased mine from eBay from kaito-electronics for $60 as a used radio which I assume to mean “a returned radio” or a “refurbished radio”. This entry was posted in Ham Radio, Short Wave on May 16, 2018 by John Hagensieker. As I find myself getting into Short Wave Radio again I find myself picking up more radios to play around with and assess. 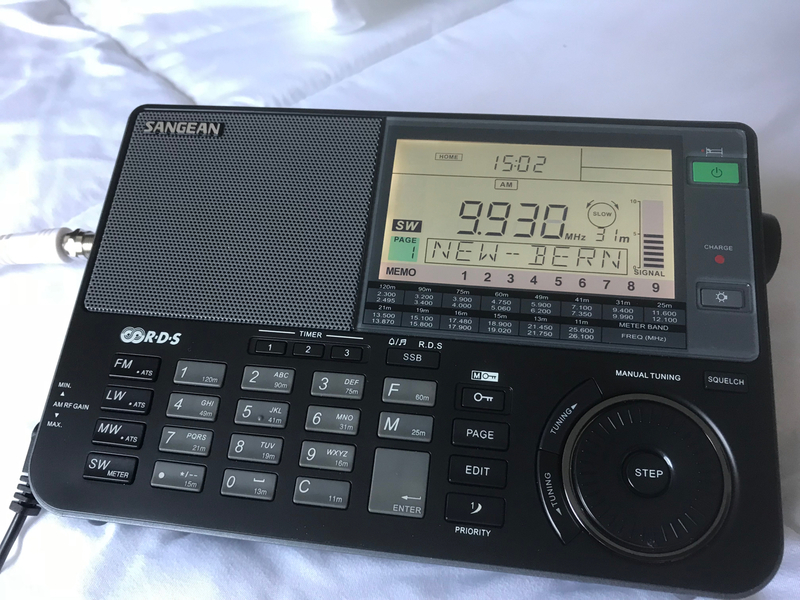 The latest acquisition is a Sangean ATS-909X. $205! OUCH! But lets see what we have before we pass judgement. First of all in the batch of current model short wave portable radios this is by far the most attractive of the bunch (in my opinion). Attractive is good but sound, sensitivity, and selectivity are really what matters with a radio of this caliber. This entry was posted in Ham Radio, Short Wave on May 12, 2018 by John Hagensieker. Here’s something you haven’t heard about in a while. Short Wave Radio. 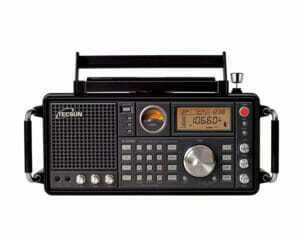 Heck, walk around Walmart, Best Buy, Target, wherever and you CAN’T EVEN FIND A SHORTWAVE RADIO IN THE STORES ANYMORE. It seems like a dead medium. And yet it isn’t. When I was a young boy I had a great big tube Short Wave receiver that a friend of my fathers gave to me, and that’s the way it worked back then. The old hams would happily teach the up and coming hams. Anyway I spent untold hours listening to that thing and was always stunned and amazed at how much content and how varying it was. And of course back then the prize was listening to a station as far away as possible. Well, Short Wave sure has changed. There aren’t nearly as many stations, even less high power stations and most of Short Wave seems to be mostly Christian content, and political propaganda. Also you’ll find a healthy dose of Patriot and Prepper community folks and alternative news sources. And when I mean alternative, I mean alternative. Out there stuff. Also you’ll hear hams talking, morse code (CW) and various types of data, some of it critical such as NOAA Weather Fax (WEFAX), Radio Teletype (RTTY), and real life spies transmit coded messages called “Numbers Stations” on Short Wave as well. Short Wave is very much still alive and well but clearly not as active as when I was a kid in the 60’s and 70’s. This entry was posted in Ham Radio, Short Wave on May 10, 2018 by John Hagensieker. This entry was posted in Ham Radio, Short Wave on May 8, 2018 by John Hagensieker.